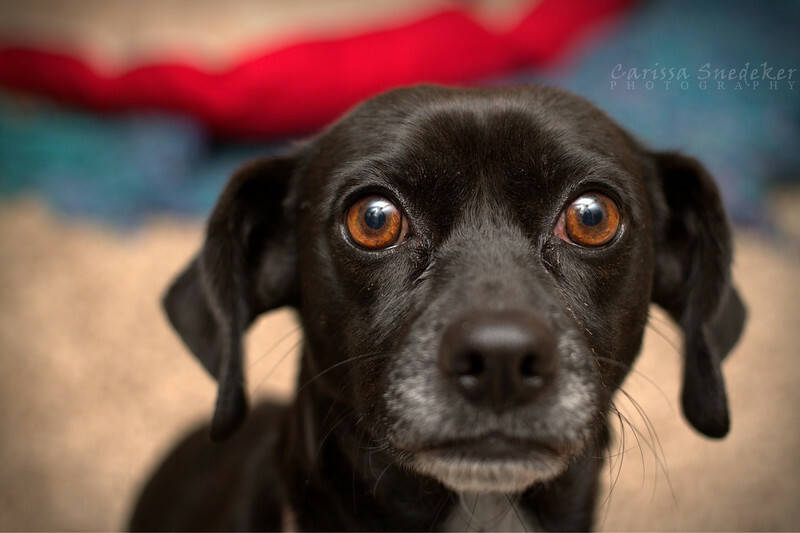 This entry was posted in Nina, Pet Photography, Pets and tagged black dog, dog. Bookmark the permalink. I love the colors in the color photo! I also love the forlornness of the black and white version! Both amazing. I’m definitely leaning B&W. Love her eyes in the color, but the red in the back keeps pulling my eye, and that’s bothering me. I like the B&W better. My preference too. Thanks for commenting! I like the B/W because you can still see those expressive eyes. Sometimes B/W photos reveal more of a subject without the distraction of color. Having said that, it’s still a beautiful shot either way. I like the color version better, but only if you can mute the red in the background. It does compete with her eyes a bit. One more vote for the b&w. Black and white but only because the red in the colour one is distracting, she has such beautiful eyes the red is competing for attention.